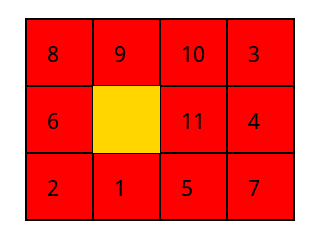 Simulation of the puzzle where you must arrange the 15 numbers in the right order. A simple graphics editor for creating grobs, supporting 21x8 (for menus) and 127x64 (nearly the whole screen). Displays a calendar for the specified month, given a date in month.year format. Fun French game where you must jump balls around a board. Written in System RPL and assembly. Converted from the HP 49 by E King. Fun French game where you must jump balls around a board.